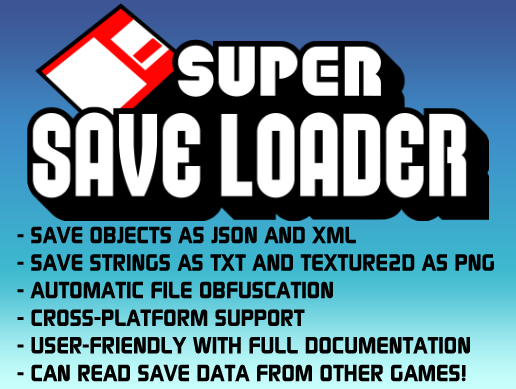 Super Save Loader is a tool that makes saving and loading in Unity SUPER! Aside from easy, single-line saving & loading, it's other main features are automatic obfuscation of save data, and loading data from other games. Save data across play sessions. Save to multiple save files. Load data from other games. 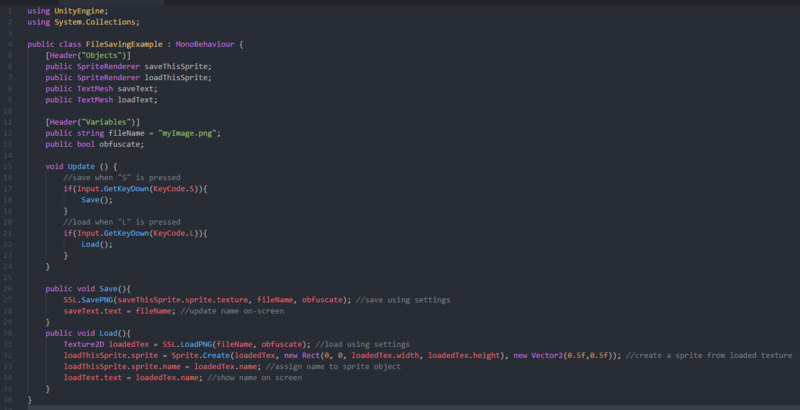 You can serialize almost any type! 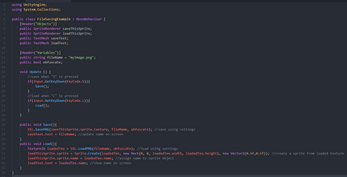 If you can see it in the inspector, it can be saved as JSON or XML! Can obfuscate files using automatically-generated encryption keys. Automatically saves data to the persistent data folder, within organized folders for developer and product name. Can load data from other games, even when obfuscated! 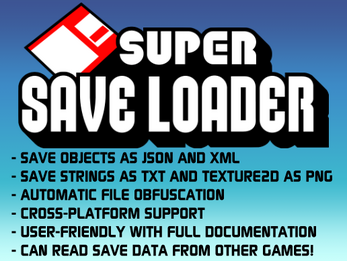 Super Save Loader can also be used to check if a game's save data exists.